Ok, so this was a strange request for a cake. 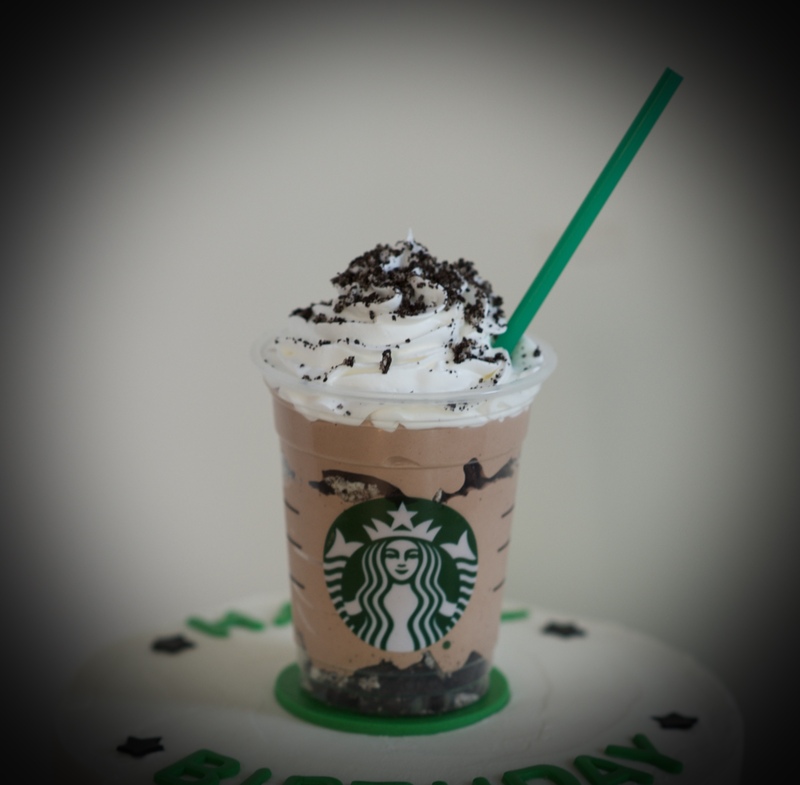 One of my regular (and best) customers wanted a special birthday cake for her daughter who happened to love iced coffee from Starbucks. She initially wondered if I could put a cup of her daughter’s favorite drink right on the cake, but that made me very nervous (liquids and cake DO NOT mix). So we decided on chocolate mousse in a Starbucks cup to be added right before she presented the cake (in the cup is homemade chocolate mousse with crushed Oreo cookies and whipped cream on top). The 10″ cake is double-chocolate sour cream with cookies and cream filling and smooth-iced with vanilla-bean buttercream. The modified Starbucks logo I hand cut from homemade marshmallow fondant, along with the other details. The cake was certainly a fun challenge….happy birthday, Georgenne! It’s adorable! 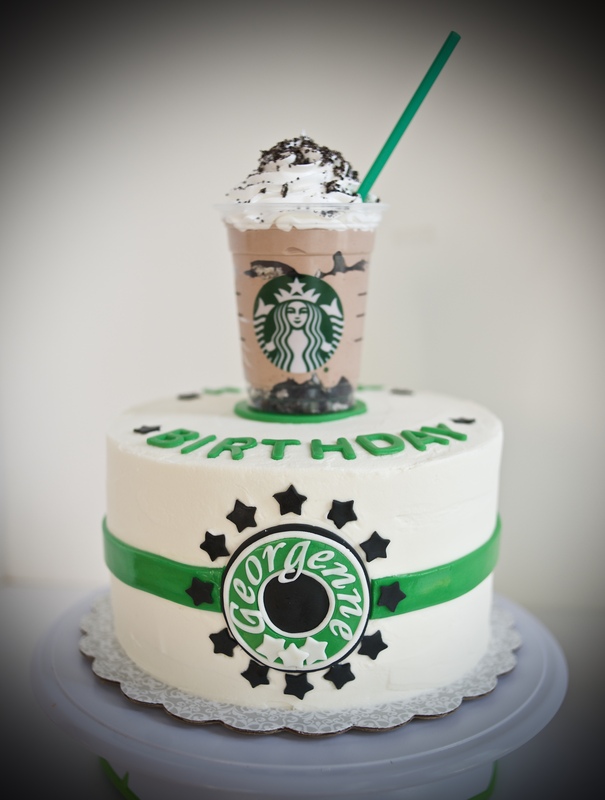 I actually made a Starbucks cake too! It’s not quite as fancy as yours, but I had fun with it.